Jimmy Buffett supposedly wrote "Cheeseburger in Paradise" on a little Island, just a boat ride away from Sanibel. Click like if you know the name of that Island! Despite its mellow ambiance, Sanibel can be a thrilling place. Both this photo of an Osprey by Gordon Campbell and this quote about same by Henry David Thoreau gives us the chills. Like if you agree! "Its shrill scream seems yet to linger in its throat, and the roar of the sea in its wings." We are curious. What are your top 3 reasons for choosing Blind Pass Condominiums as your vacation accommodation? Please comment with your answer and share this if you know others who have stayed with us. Thank you!!! So true. And "the found" have definitely made their way to Sanibel! 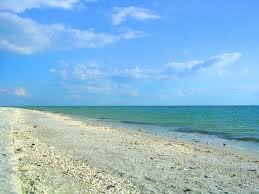 Do you think it is easier to adopt the pace of nature on Sanibel? Click "like" if you do! Love these little koala bears created by Martha Stewart. Another cute idea for what to do with your Sanibel shells!